Each season our team of GM's build a custom fantastical setting filled with myth and woven with wonder. We give it a rich history, and a threat so great, it will require every shield the Guild has to offer to save the land your hero will come to love. Where cities are strung between mountain-tops and airships ply the sky-sea. But what are they running from, on the decimated earth they left behind? The land where a promising future is shrouded by a dark past. Where things that were once buried are often unearthed, and dangers long forgotten deign to make a frightful return. The pre-historic land where dino-riders, tar-fields, and ever-burning mountains are a way of life. But Rynn's greatest challenge is yet to wake, asleep beneath the rising tide. 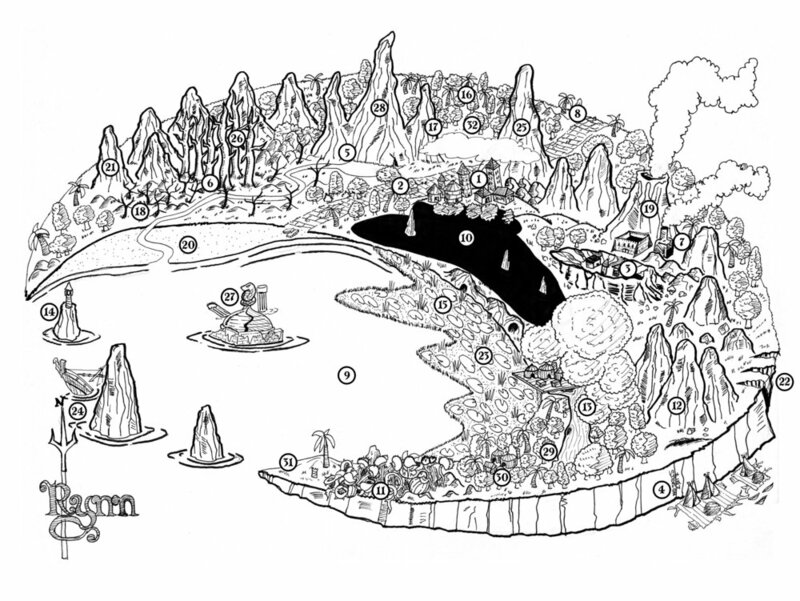 All maps are illustrated by Michael "Shagg" Dement, our resident cartographer.